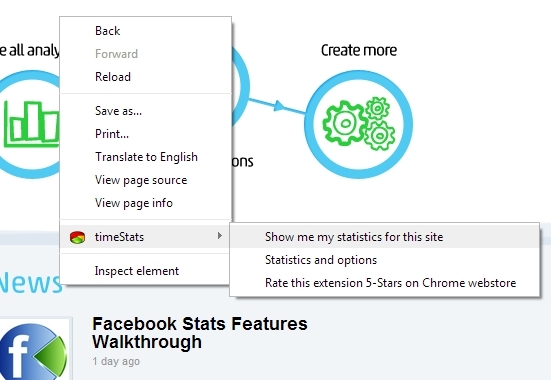 What's New in timeStats?. That's what I call interesting article. Helpful Tips What's New in timeStats? We are working on making TimeStats as good as possible for you. And a lot of ideas come from our users and we want to thank you for it. How? If you want to suggest some idea or an improvement, please suggest it in the 5-star review in the Chrome Webstore. We are going through them almost every day and we put a lot of your suggestions into next version. So do it now. Would you like to continuously improve your productivity? You can now get regular reports. Go to settings -> Reports to set them. You can choose from intervals: Once in a week, in two weeks or monthly and you will get the following information for the chosen period. Set a maximum time how long you want to spend on specific website and then block it. Or just get a notification that you have exceeded the time. This really helps you productivity, because for example while browsing Facebook, the time goes really fast. Right now with Facebook connect you can better share you charts with your friends. You can do it only with one click next to a Chart and you can share all charts. The post will be shared as a photo and stored in new album called TimeStats Photos. It is now easier then ever to categorize your sites. Just right click anywhere on the website, choose time stats -> Add this site to category and choose a category, or even create new one. Simple right? 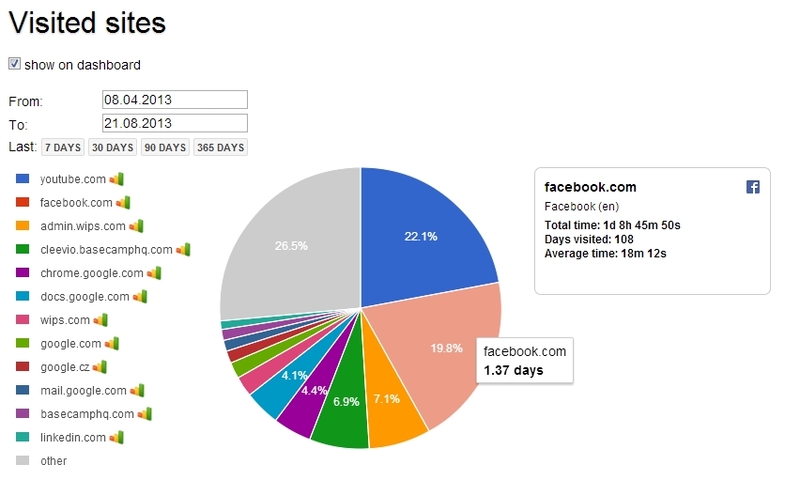 If you connect your extension to your Facebook account, you will get access to many improvements and in the future we will add more functions to easily share your charts with your friends. One of the cool thing we have added is the context menu. You can right-click anywhere on the website and you can choose "Show me statistics for this site" and it will take you to detailed statistics about the site you were browsing. We have added a quick access button so you can go to the more detailed statistics. It is located under the chart. 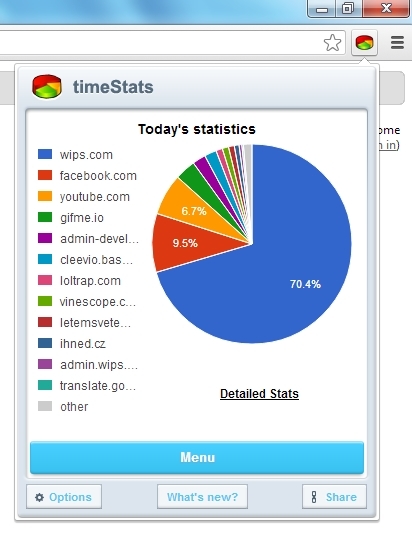 If you hover over some site in the list or on the chart you will see more info about your time spent on this website. 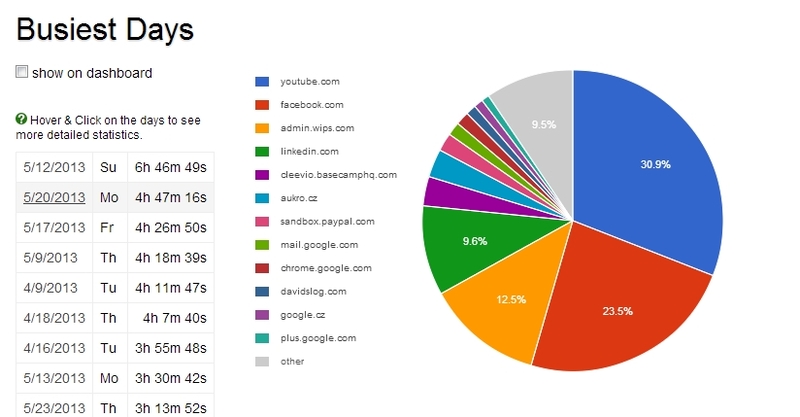 Also next to every website there is a bar chart icon which will take you to sites statistics and you can see how much time you spend on the website during a longer period. 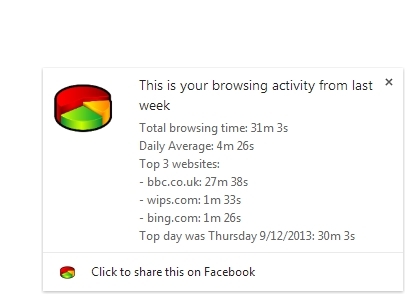 You can hover on the specific day and you will quickly see how did you spend your time today. Click it and you will see even more. You can also very easily select few pre-defined intervals under the date picker. We hope that you enjoy all the new functionality and don't forget to submit your ideas with the 5-star review in the Chrome Webstore. If you want to download the timeStats extension you can have it here.